This elegant Venetian masquerade mask is made from laser cut metal and adorned with authentic Swarovski crystals. Taking the elegant Simply Masquerade statement style to a whole new level of chic, this stunning Fantasia Lady Filigree Venetian Masquerade Mask - Black will add a touch of luxe to any of your party looks. 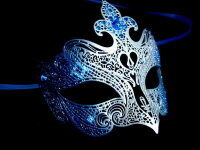 Simply Masquerade Boutique are famous for promoting a luxury lifestyle & are renowned for their classic, chic styling & importing the best masks at great prices. Making perfect use of the mixed materials trend that is in full force this season, this beautiful filigree mask is made from laser cut metal and adorned with authentic Swarovski crystals on a nero black base. Guaranteed to dress up any of your looks, this stunning mask will ensure you dazzle 24/7. 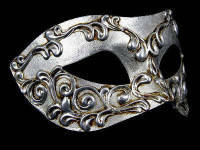 An extravagantly designed and handcrafted Venetian mask for women. 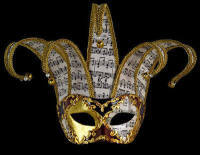 All our masquerade masks are hand made in Venice - We ship worldwide including the USA.